What Does a Fairfax Title Company Do? Home / Title Services / What Does A Title Company Do? A Title Company makes sure that the title to a piece of real estate is legitimate then issues title insurance for that property. Title insurance protects the owner and/or lender in the event that lawsuits or claims against the property arise after the property has been purchased. Not only is having title insurance a good idea, but it is most often required by lenders for them to issue you a mortgage. There are two types of title insurance: title insurance for lenders, and for owners. Each requires an insurance policy to protect their investment in the property. Often times, title companies also maintain escrow accounts that contain the funds needed to close on the home. This money is held by the title companies to ensure that the funds are only used for settlement and closing costs. At closing, a settlement agent from the title company will gather all of the necessary documentation and collect closing costs and distribute the funds. Title companies will also ensure that new titles, deeds and other documents are filed with the appropriate entities. Title companies can offer services that include settlements, title insurance, contract preparation and review, and refinancing. 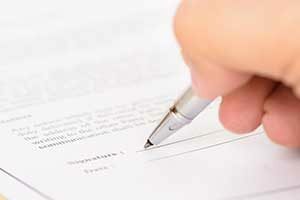 Title companies often act as the closing agent for real estate transactions. This means that the title company acts as an agent for each party in the transaction. The title company will obtain signatures on all closing documentation and it will also receive and distribute payments related to the conveyance transaction. They will then record documents such as deeds and mortgages in the local county records office. When purchasing title insurance, a title company is going to research the property through the public records. They are looking to make sure that the property has passed hands legally, and that no one else has any legal claim to the property. They are also going to ensure that there are no other events that may affect the ownership of the property such as liens or encumbrances. This is part of the contract preparation process. A title company can also act as the final review of all documents that relate to the transference of ownership of the property. 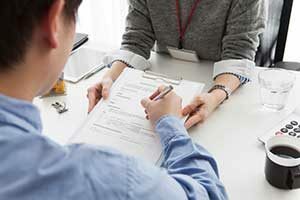 Title companies offer many services, and as a result, they are very involved in the home buying process. This is why it’s very important to understand what services a title company offers because you are going to be highly involved with them. Please don’t hesitate to reach out to us at Mathis Title Company to learn more about our services or to ask any questions you may have.